Both on sale now at $14, for just under the next three days. If there is one thing we associate most with HPL, it’s his love of minorities women malnutrition dogs New York City beer! 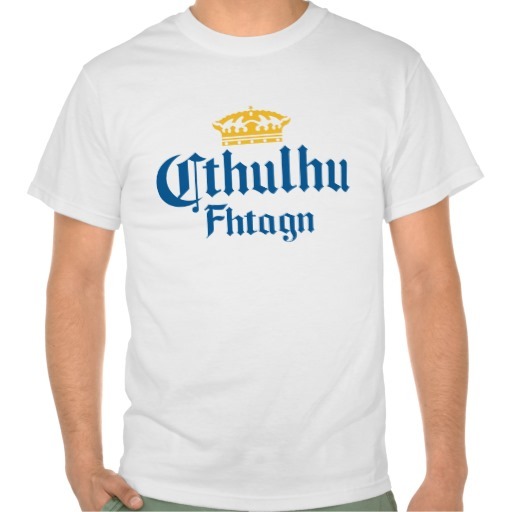 Make the ghost of HPL chuckle with this Cthulhu / Corona logo parody shirt. Offered on a budget-conscious white tee, so even HPL could afford it (maybe)! Alternatively, you can fool drunks into thinking they’ve gone dyslexic from tainted beer! Royal blue version on the way!